Have some of the features on your high-end fridge stopped working? Is one of the burners on your cooktop out? Has your gas oven stopped lighting? 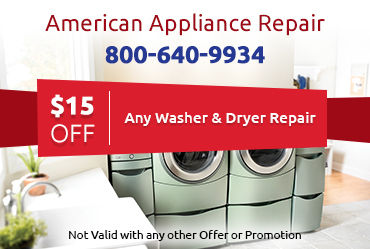 No matter what kind of problem you may be experiencing, American Appliance Repair can help. Our conscientious technicians will work hard to correctly identify the root cause of your problem, source top-quality replacement parts, and give you a reliable and cost-effective appliance repair in Upland CA. We are especially good choice of company to repair your Amana, Jenn-Air, Maytag, Whirlpool, or Scotsman appliances because we are an authorized service center for these brands. Our technicians undergo specific training with these manufacturers and are qualified to provide warranty repairs. 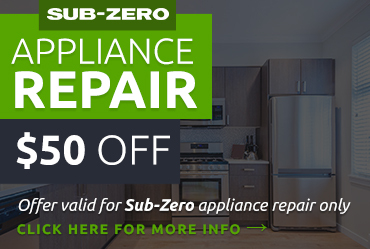 No matter what type of appliance you may have, you can count on us to provide the expert appliance repair in Upland CA you need to get your appliance back in optimum working condition again. We always follow manufacturers’ recommendations when making repairs, because this gives you the best quality, most reliable repair. 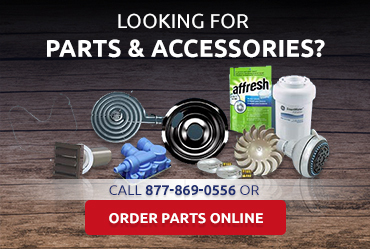 Using factory-certified parts rather than generic parts also helps ensure every repair we provide is as effective and long-lasting as possible. 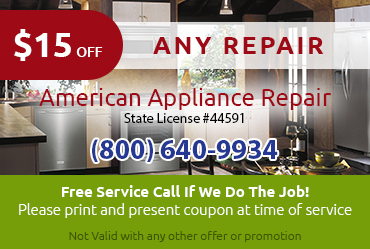 If you need an appliance repair in Upland CA, do not hesitate to call us at 800-640-9934 or contact us online. In most cases, we can provide same-day service.